Azam Khan, who had supported Akhilesh, is now upset with him because he ignored the senior leader and appointed Ram Govind Chaudhary as Leader of the Opposition. Samajwadi president Akhilesh Yadav may have led his party to its worst ever defeat but that has not brought the former chief minister down from his high horse. Instead of building bridges and setting his house in order, he is losing friends with an alarming regularity. Some of those who had supported him through his battle with his father Mulayam Singh Yadav are now regretting having backed the young leader. 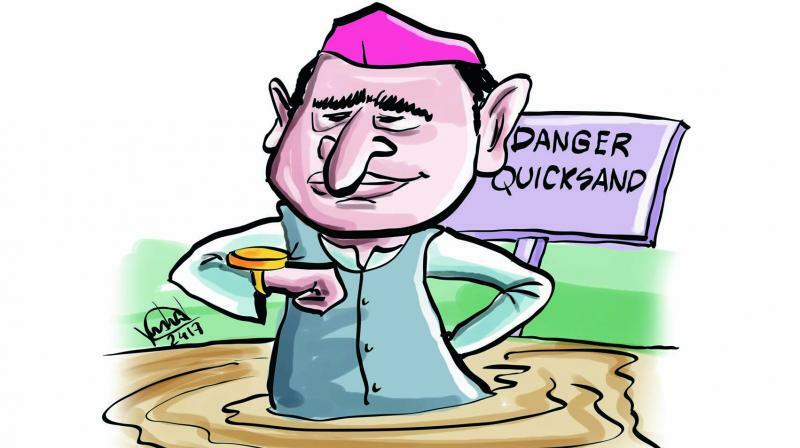 Azam Khan, who had supported Akhilesh, is now upset with him because he ignored the senior leader and appointed Ram Govind Chaudhary as Leader of the Opposition. After Shivpal Yadav, Mr Khan has also started boycotting meetings convened by the SP chief. 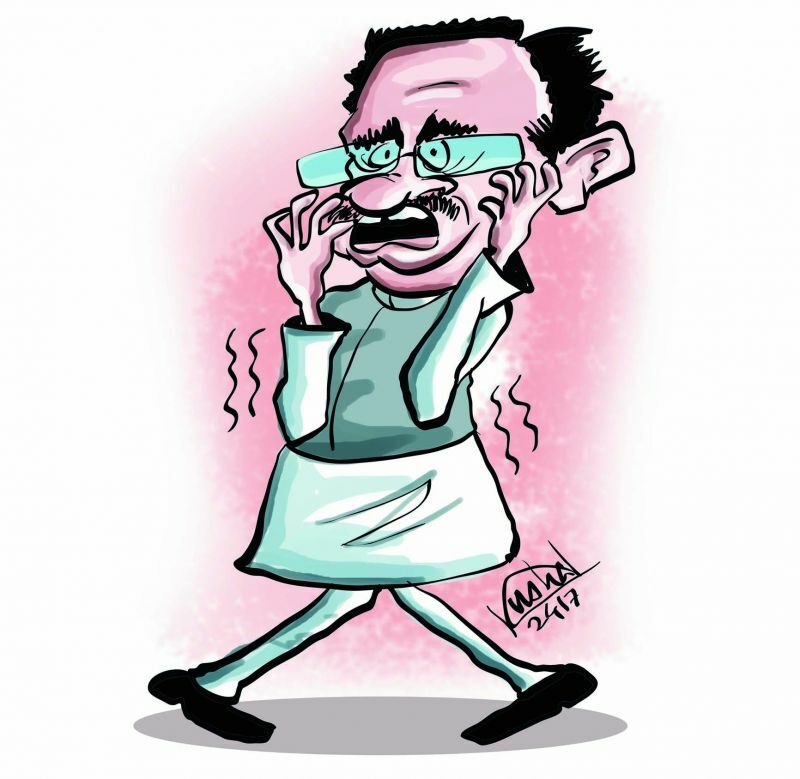 Members of Team Akhilesh are also upset with their Tipu Bhaiyya, who apparently has no time to discuss reasons for the defeat and is not bothered about the fact that his party is slipping into a state of inertia. Akhilesh has also ensured that he and his party remained out of the media spotlight — he has decided to meet journalists not more than once a month now. Perhaps, he needs his political strategist Steve Jarding now more than he ever did. For the Biju Janata Dal’s saffron-clad MP Prasanna Patsani, flattery has no limit. He always uses it to please his political bosses and that is why, as it is discussed in political circles, he has always managed to get the party ticket to contest from Bhubaneswar. 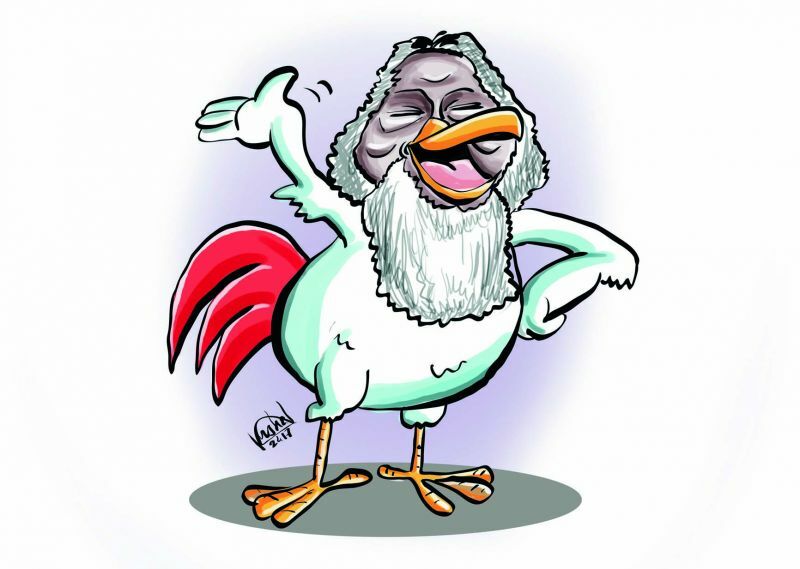 Not much known for his parliamentary performances, but for his strange dress habits and incomprehensible speeches that often expresses no clear meaning and thought, Mr Patsani once again demonstrated that he was best in his art of flattery. When a group of journalists wanted to know his reaction on the rumour that chief minister Naveen Patnaik’s sister Gita Mehta is coming to Odisha to take an important responsibility in the state administration, the lathi-wielding politician replied: “What is wrong in it? Gita Mehta is the daughter of former chief minister Biju Patnaik and sister of present CM Naveen Patnaik. She is a world-class writer. If she comes here, we will welcome her. Odisha will benefit from her wisdom,” he said. After the formation of the new government in Punjab, the rooms of new ministers and officials were refurbished in the Punjab secretariat. Punjab chief minister Amarinder Singh had 13 officers, including various OSDs, advisers and secretaries. Former chief minister Parkash Singh Badal had nine members in his support staff. Keeping in view the number of the CM’s support team, all the members of the CM’s team were finding it difficult to find a room in the secretariat. However, after it was observed that not everyone could get a room, some of the members were worrying about the king of space they will get. 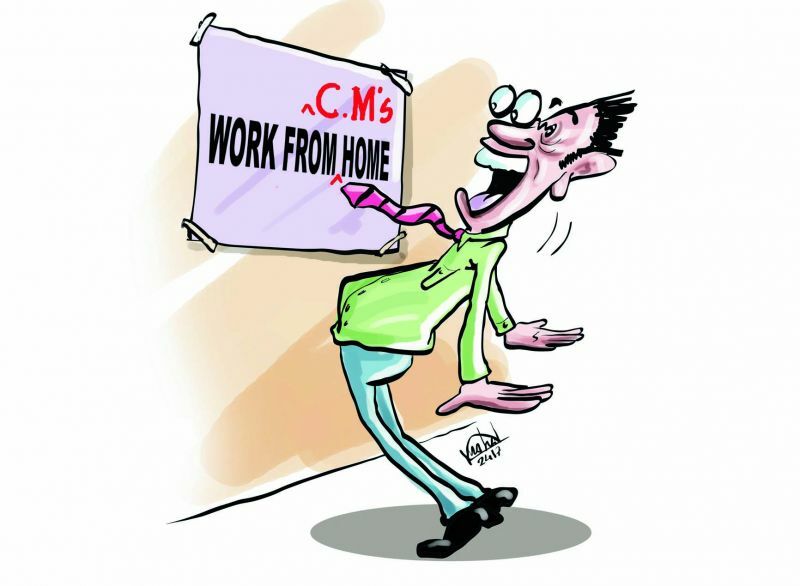 To solve the issue, now the idea has been floated that some members of the support team will be given an office in the CM’s residence so that there is no space crunch. The BJP’s “stunning” victory in Uttar Pradesh had kicked off celebrations among saffronites across the country, but appeared to have made the camp of Madhya Pradesh chief minister Shivraj Singh Chouhan nervous. For the saffron surge in North India, discernible in the unexpected show of the party in the just-concluded Assembly polls in UP and Uttarakhand, has led the rumour mills speculating on a change of leadership in MP run rampant. Prime Minister Narendra Modi has firmed up his grip over the party by leading the BJP to a record victory in UP, and he is now set to change leaderships in BJP-ruled states, keeping in view the 2019 Lok Sabha polls, the rumours spread. The chief minister’s clarification that he was not moving to New Delhi had hardly calmed down the raging rumours. The speculation has grown so strong that it needed Union home minister Rajnath Singh to step in to subside it by denying categorically of such a move. Even the chief minister’s “rivals”, Union water resources minister Uma Bharti and BJP national general secretary Kailash Vijayvargiya, had to be roped in by loyalists to declare in public that the party would go to coming Assembly elections in the state under Mr Chouhan’s leadership. Even as the chief minister’s camp has heaved a sigh of relief for being able to counter the rumours of his replacement, his detractors however have found the ongoing Narmada Seva Yatra, launched by the chief minister on December 11 last year, as his saviour. “The chief minister has been mobilising saints and hermits all over the country to perform pujas on the bank of Narmada during his ongoing campaign to save the mighty river from pollution. It seems Narmada ‘maiyya’ (goddess) is very much pleased with his devotion to her and hence protected his chair at the juncture,” a dissident BJP leader explained. “But will he be able to retain Narmada’s blessings to save his post after May 11 this year, when the high-profile campaign will wind up,” they wondered.